It's been a long time since I've done a before and after post! (You can see the others HERE and HERE.) This stool was rescued from my old school where my parents work. It was a little rough, and the finish was coming off, but I still used it a lot! Recently when I was reorganizing my yarn, I came across some scrap nylon from my Star Rug, the wheels started turning, and I decided my little stool was ready for a make-over! 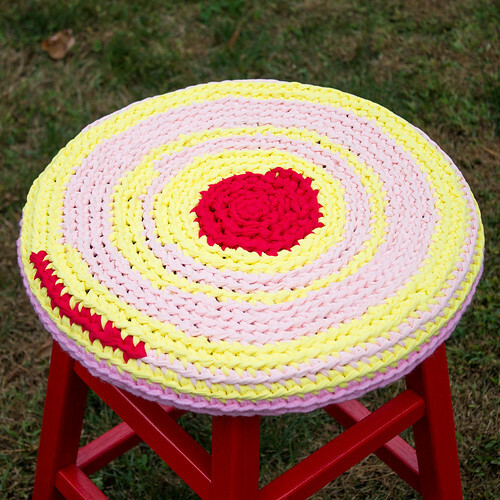 I sanded down the stool, gave it a couple coats of red spray paint, and crocheted a little seat cover! I did end up running out of the nylon and had to use some random pink acrylic yarn I had to finish it up, but I'm quite fond of my little stool now! It went from drab to fab! Bleak to chic! Do you guys have some furniture that's begging for a little change? I just love the red spray paint that you've put on your stool! 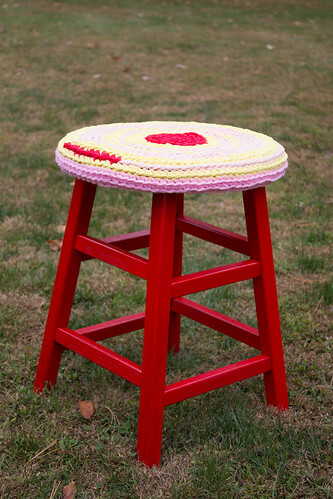 I really like stools and you have really had fun covering the top with your crochet work! Well done! So nice and happy!!!! Love it!!!! Thanks Joan! 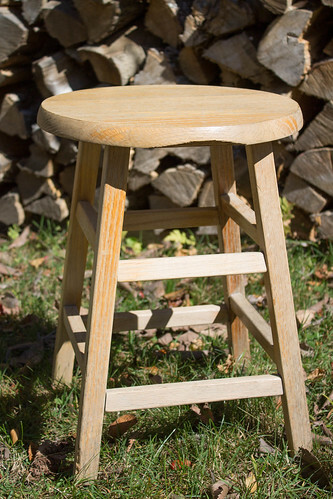 If you give your stool a makeover I'd love to see it!! What a great make-over job, Kate!